Rohingya women wait to be seen at the Hope Foundation clinic outside Balukhali camp in Bangladesh, which treats many of the nearly 700,000 Rohingya refugees who have fled extreme violence in Myanmar. Photo: Salahuddin Ahmed for Physicians for Human Rights. Every day is a busy day at the Hope Foundation clinic outside Balukhali camp in Bangladesh. The small facility teems with Rohingya refugees who have fled a campaign of brutal violence by the Myanmar military. The week I was there last December, there was a man with a bullet wound, a woman with facial burns, and more women with tiny babies than I could count. The infants reminded me that some of these women made the harrowing trek to safety – through the jungle and across a river – while very pregnant. The MedGlobal volunteer health workers at the clinic tend to these extraordinary traumas, but also to the day-to-day health needs – waterborne diseases, respiratory infections, and, increasingly, diphtheria and measles – that have become inevitable in the crowded refugee camp. 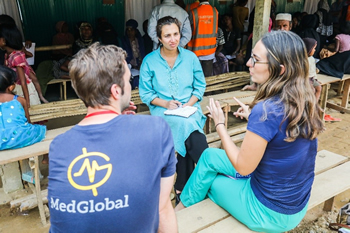 PHR’s Dr. Rohini Haar (center) speaks with MedGlobal volunteer health professionals Chris Hearne (left) and Rache Mureau-Haines (right) at the Hope Foundation clinic outside Balukhali refugee camp in Bangladesh. Photo: Salahuddin Ahmed for Physicians for Human Rights. We’ve all been to the doctor. Maybe we’ve even been in an urgent situation where the doctor had to reset a bone or address another critical injury. So we can intuitively understand why medical workers are so important in a refugee camp. Obviously, the nearly 700,000 Rohingya who have surged into Bangladesh seeking safety require both urgent and regular medical care. Attending to their physical needs is job number one for medical workers in a complex humanitarian situation. But doctors have another, equally important role to play when a human rights crisis leads to a humanitarian disaster. Dr. Vincent Iacopino, Physicians for Human Rights’ (PHR) senior medical advisor, once told me that after working for many years in refugee camps providing primary care, he decided to shift his focus to human rights because he wanted to get “upstream of the problem.” At PHR, we try to get upstream by collecting medical evidence of torture, sexual violence, and other human rights violations – evidence that can be used to stop these crimes and bring perpetrators to justice. Despite their grueling schedules, the MedGlobal volunteers welcomed me and my PHR colleagues to their clinic. As they treated the Rohingya refugees’ wounds, my colleagues forensically documented the injuries. 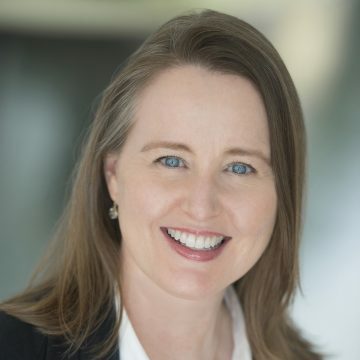 In this small clinic, in the midst of this humanitarian catastrophe, I saw an extraordinary example of medical professionals collaborating to treat their patients and to advocate for justice – using the tools of science and medicine. Our team of PHR doctors documented that a machete wound to the head and burn patterns on a woman’s hands and feet were consistent with her story of being left to die, unconscious, in a burning hut. We met a man who had been shot in the back as he was running away, and children who were shot while inside their homes when the military sprayed the village with bullets. The scars on their bodies were consistent with the stories that they told us of their abuse in Myanmar and the trauma of their escape. of what happened to the Rohingya. Through this documentation, we are building a case that the people who committed these savage acts committed crimes against humanity. We are ensuring that the voices of the Rohingya are heard and that the medical evidence of these atrocities will support future justice processes that will punish their persecutors. This is painstaking work, and justice can sometimes be slow in coming. Consider the recent conviction of Ratko Mladic for crimes he committed in the former Yugoslavia more than 20 years ago. Forensic evidence collected by PHR helped to seal that verdict – and bring a measure of peace to the victims’ families. We hope justice for the Rohingya will come more quickly, and we will continue documenting cases and contributing to the evidence base. Because we know that health workers have a responsibility not only to treat their patients, but to advocate for their rights and to demand justice. 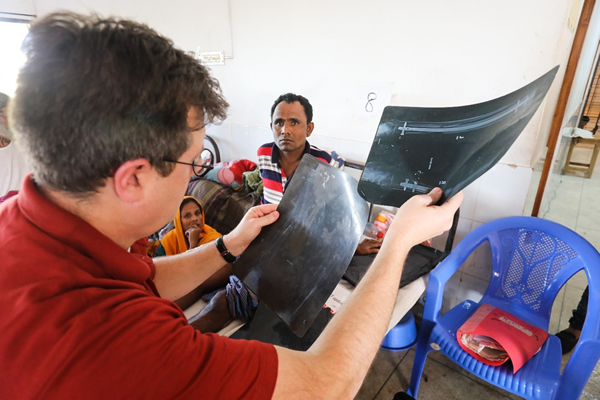 PHR’s Dr. Homer Venters documents the injuries of a Rohingya man who had both of his legs broken during a savage beating by the Myanmar military. Photo: Salahuddin Ahmed for Physicians for Human Rights.